Weight loss surgery may prolong life and improve your chances of survival. Several large medical studies have shown that bariatric surgery patients seem to live longer and have lower risk of death than other patients of similar age and weight who don't have surgery. Weight loss prevents and improves type 2 diabetes. 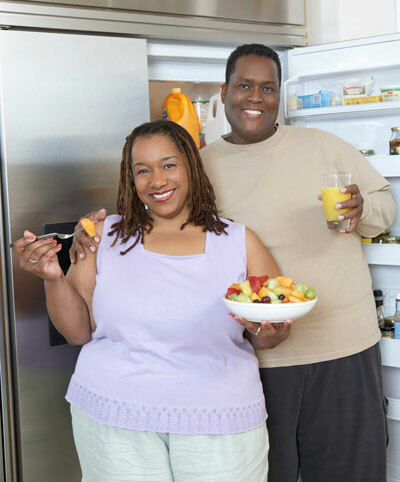 Even very modest weight loss can dramatically reduces your risk of diabetes. It doesn't seem to matter how you lose weight: surgery, medications and lifestyle programs all have significant benefits. For patients with diabetes, weight loss can make treatment much easier. Bariatric surgery has been shown to reverse diabetes in a large clinical study. Weight loss prevents and improves obstructive sleep apnea. Many overweight patients also have sleep apnea. A clinical trial has shown that losing weight can improve sleep apnea. Weight loss improves joint pain, stiffness and function for people with arthritis. If you have arthritis, losing weight can help reduce joint pain. Weight loss can even reduce knee pain and improve mobility. Weight loss improves symptoms of heartburn. A clinical trial has shown improvement in heartburn symptoms among patients in a weight loss program. Weight loss improves liver injury in fatty liver disease. Not only does weight loss through lifestyle improvement benefit liver health, but it reduces liver injury from fatty liver accumulation. Weight loss improves blood pressure. The American Heart Association agrees: weight loss helps blood pressure. Weight loss improves cholesterol and lipid levels. Even a very small weight loss can improve cholesterol and lipid profiles. Weight loss improves reproductive function. For women, weight loss may help restore normal menstrual cycles. Weight loss may dramatically improve the manifestations of Polycystic Ovarian Syndrome (PCOS). For men, weight loss has been shown to improve testosterone levels and erectile function. In pregnancy, keeping a healthy weight has been shown in many studies to improve the health of the developing fetus.